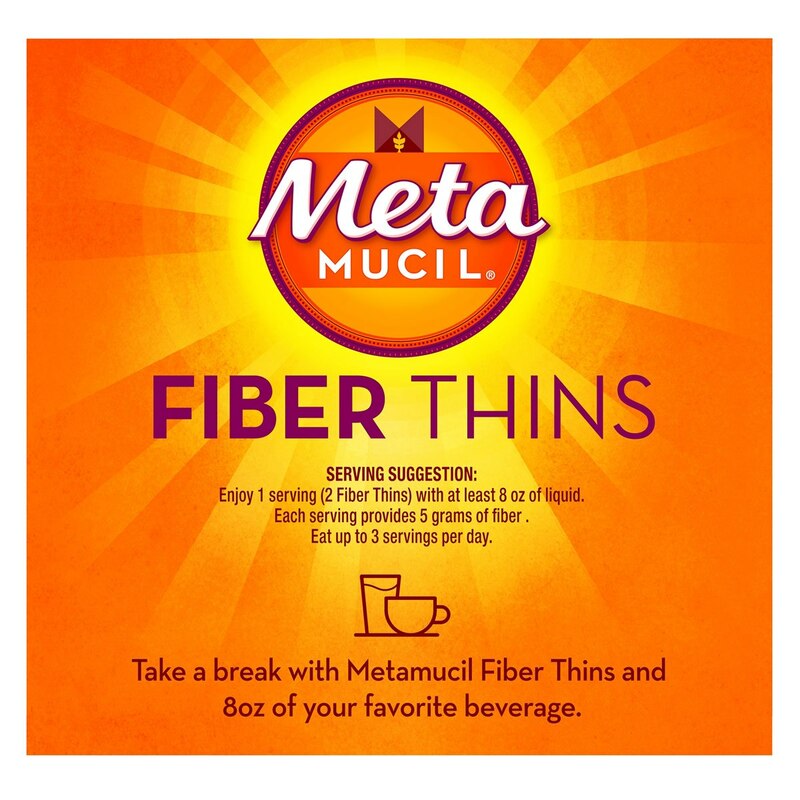 Metamucil Chocolate Fiber Thins are delicious crunchy fiber snacks that provide 5 grams of fiber with just 100 calories per serving (3.5g total fat). 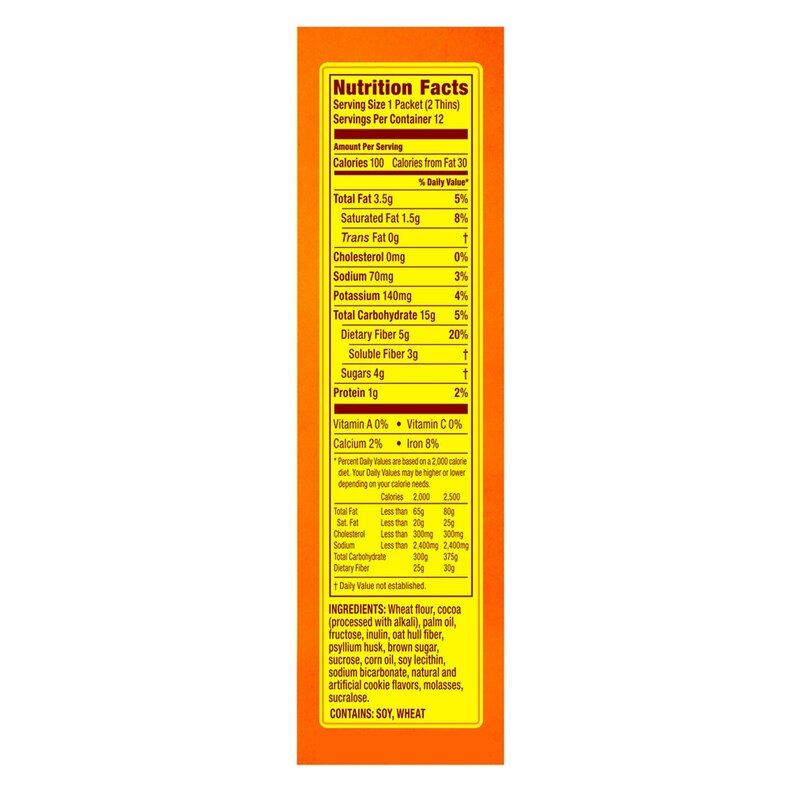 They help satisfy hunger and contain 20% of your daily recommended value of fiber to help promote digestive health. From Metamucil, the #1 doctor-recommended fiber brand.